Bob definitely follows in my footsteps when it comes to fancy dress! She loves to dress up and has a basket full of dressing up clothes. 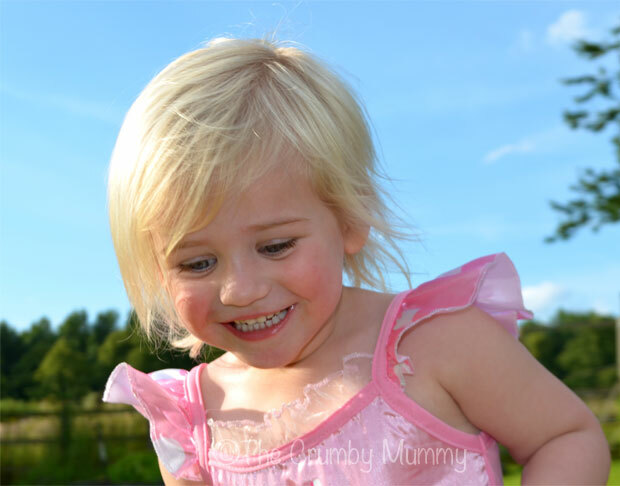 She is always on the lookout for new outfits so when we were asked if we would like to review some fancy dress costumes she was very excited! I gave Bob the computer and allowed her to choose which outfit she would like. It took her a long time but eventually she managed to narrow it down to 2. A Sophia The First costume and a Minnie Mouse Tutu. As she couldn’t decide between the 2 Mega Fancy Dress kindly sent us both. When they arrived Bob was so pleased! Her friend had come to visit and they had such a lovely time playing with the outfits! 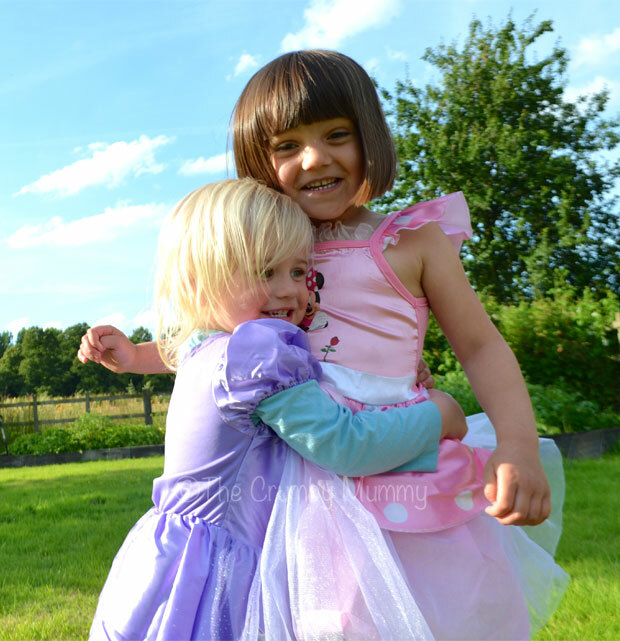 They spent hours running around the garden, pretending to be princesses and ballerinas. It was wonderful to watch! The outfits were lovely and very reasonably priced. The Minnie Mouse headband was too big for Bob but the dress was gorgeous! Bob and her friend loved the outfits and they looked wonderful wearing them! Disclaimer: We were sent the fancy dress costumes for the purpose of this review but all opinions and photographs are our own. 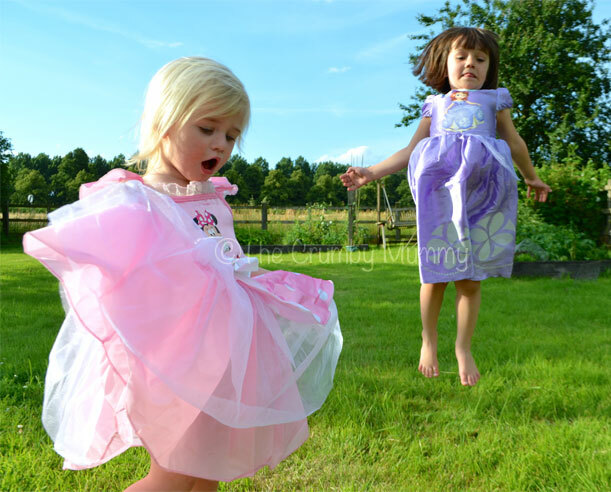 Is it wrong that I want a princess and ballerina dress? 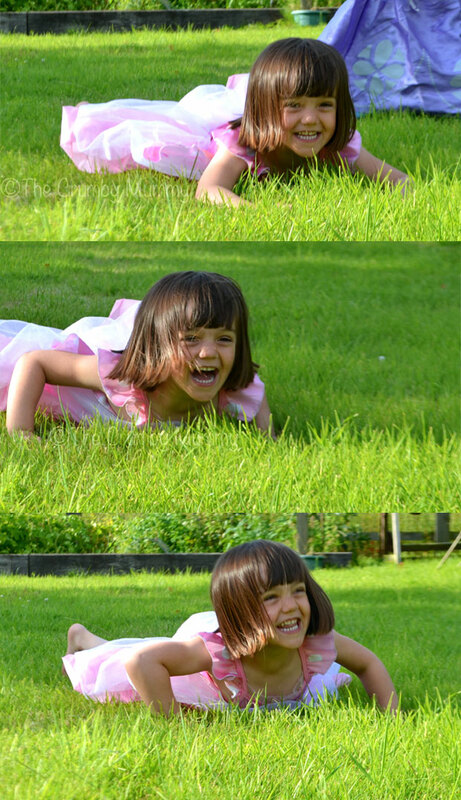 What lovely photos! 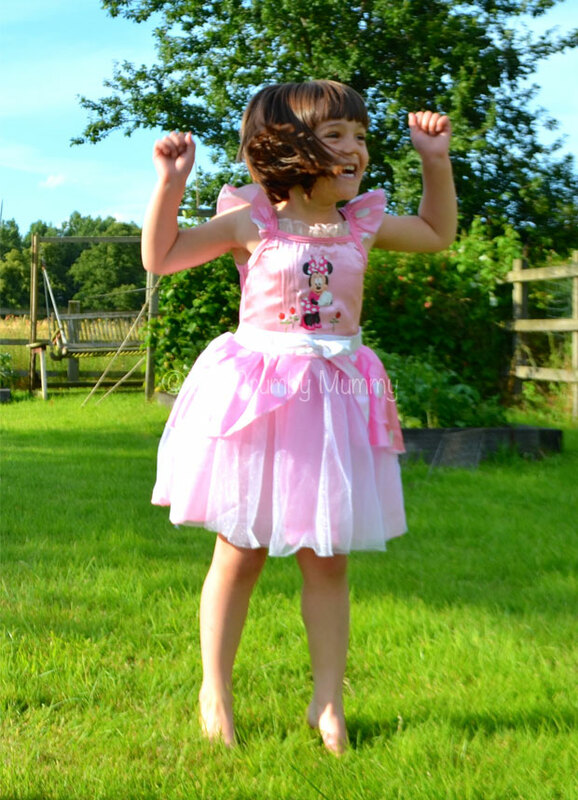 My daughter loves her princess dresses too, love how she will stand and twirl in front of her mirror! Party Plate Fashion Just Got A Lot More Fun!